Just moments after the reveal of Tekken 6 for the PlayStation Portable comes word of another Namco Bandai fighter getting the on-the-go treatment. Soulcalibur: Broken Destiny has been announced for a PSP release this summer. GameSpot has first details on the 3D weapons-based fighter, which may look like a port of Soulcalibur IV because of its feature set and cast of characters, but Namco Bandai's Project Soul development team swears it's not. Soulcalibur: Broken Destiny will feature the return of Taki, Mitsurugi, Tira, Astaroth, Ivy, Cassandra, Voldo, Siegfried, and Hilde, at the very least, plus introduce a new fighter, the wrist-blade equipped, amazingly mustachioed Dampierre. 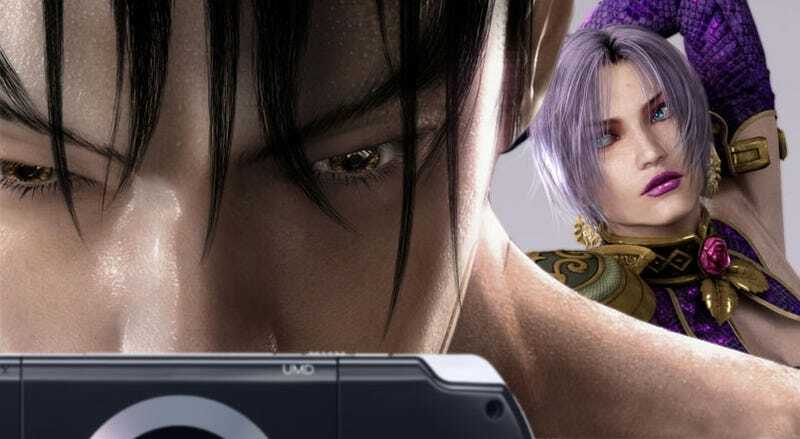 Like the PSP port of Tekken 6, expect heavy character customization and ad hoc wireless play. For more details, check out GameSpot's preview of the latest Soulcalibur.